Anything that you can think of can be made possible through the use of custom wood products. Premium Wood Products has been pleasing its customers since 1982; because of the vast array of wood parts that they can create, but their expertise doesn't stop there they can also produce custom parts from a wide-array of materials. One exciting area of expertise for Premium Wood Products is the company's' ability to design and engineer wooden parts that are customized to each custome exact specifications. They pride themselves on the abilities of their skilled machinists to create intricate geometric designs of different sizes, along with standard geometric shapes to create custom wood products that are hard to find within the industry. Additionally, the skilled machinists at Premium Wood Products can create custom design software for 3D layouts, along with custom cut-outs. Thanks to their state of the art equipment, the sky truly is the limit in their 40,000 square foot factory. The experience and expertise of their skilled machinists make it possible to create wooden parts with a wide array of state of the art equipment. 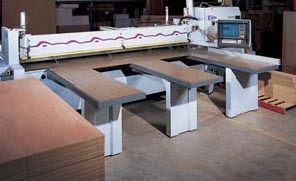 Additionally, they also are able to fulfill your needs with CNC routing, sanding and denibbing capacity. The machinists pride themselves on their ability to achieve the maximum yield from any product they are using to help the customer get the most for their money. 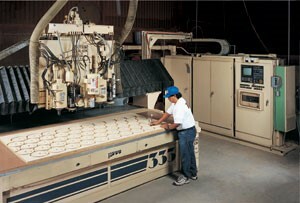 Since they are at the cutting edge of their industry, Premium Wood Products has become a lifesaver to a wide array of industries who come to them for help with their most complicated jobs because the technical expertise of their machinists are second to none, especially when it comes to machining OEM wood products and components. 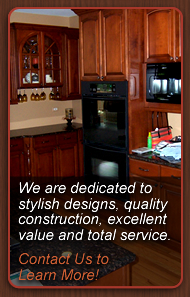 Rest assured that the best of the best will be working on your project when you come to Premium Wood Products. 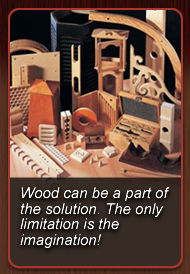 Premium Wood Products is a one stop show for all the wood parts you need, but it doesn't stop there. The company also processes a wide range of materials from acrylics and plastics to gypsum and cement boards. No matter what material you are looking for, request a quote today to find out how Premium Wood Products can work for you. Additionally, Premium Wood Products also offers skilled assembly, expert finishing and careful packaging, along with delivery and installation.